July is one of my favourite months of the year, why? Because it’s my birthday month! 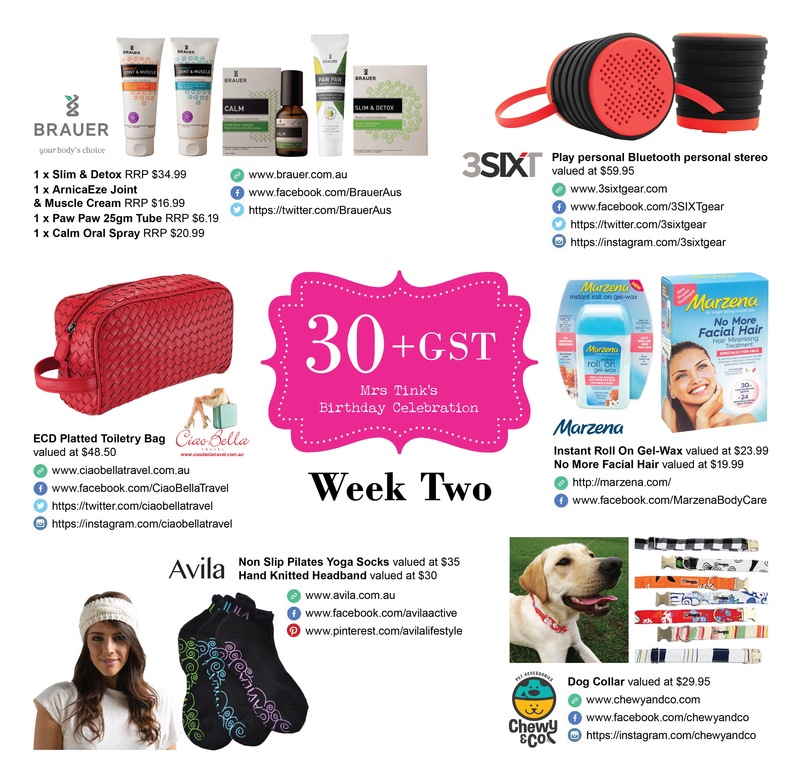 This year I will be 30 + GST (33) and I’m extra excited about it! Ever since I can remember I have subjected those around me to a month long celebration celebrating yours truly. I love nothing more than lots of fun birthday adventures and extravaganzas and I thought this year it would be fun to include you too! That’s right! 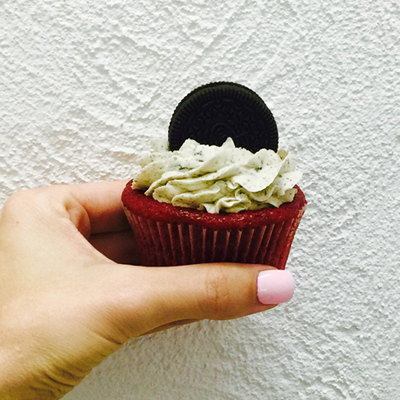 This July you can enjoy the birthday fun too and this year I’m celebrating in a BIG way! Each week I will have 6 prizes to giveaway to 6 lucky readers and then to finish I have an extra big surprise to finish off my birthday month. To enter all you need to do is answer the question associated with each product and our judges will choose our favourite answer. The winner will be announced on the 14th of July at 7.30pm. Feel free to enter all of the competitions as there is no limit to how many you can WIN. Happy Birthday month! I am the Crazy Dog Lady of our street. We have not one, but three dogs. Three crazy, cheeky, naughty dogs who have no idea that they are dogs (they think that they are small, hairy people). 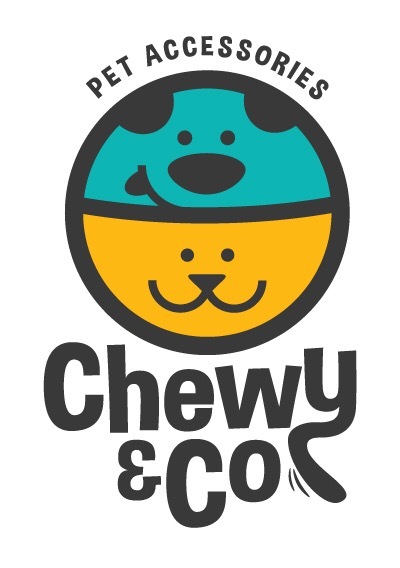 Our pooches are more pampered than most humans so when I was given the opportunity to review some collars from Chewy & Co I instantly thought of 3 ‘hairy people’ that would be only too happy to oblige. 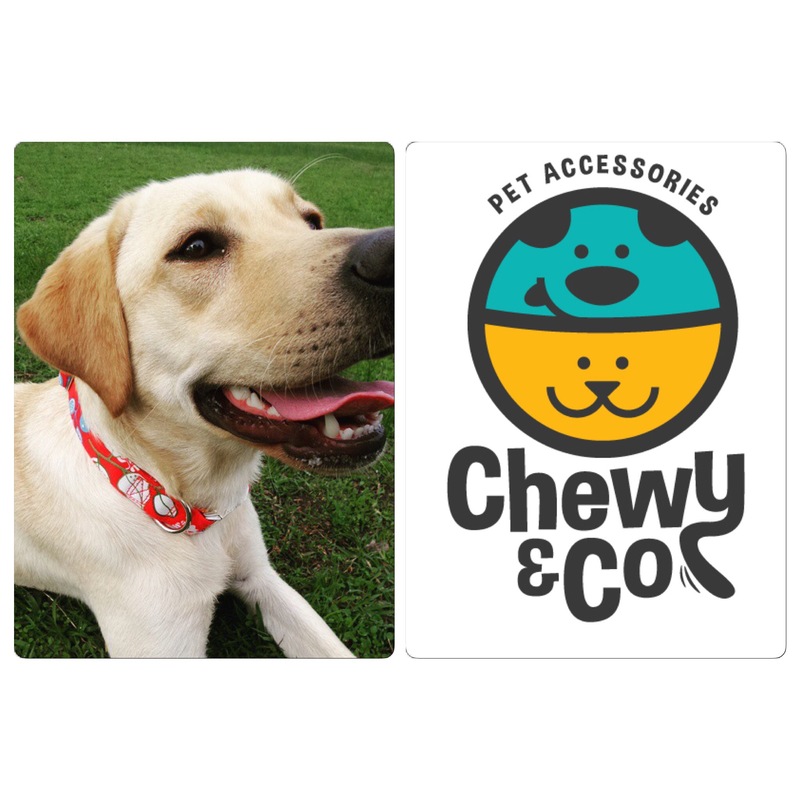 The Chewy & Co collars are very high quality and have incredibly cute designs. My three thought that all their Christmases had come at once when I put them on. Unlike other collars the clasp is easy to open but very secure plus it’s easy to latch a lead to. More importantly they are very comfortable for your special mate to wear. The Chewy & Co collars are also simple to clean if you have a cheeky devil (like we do) who enjoys puddles and dirt. 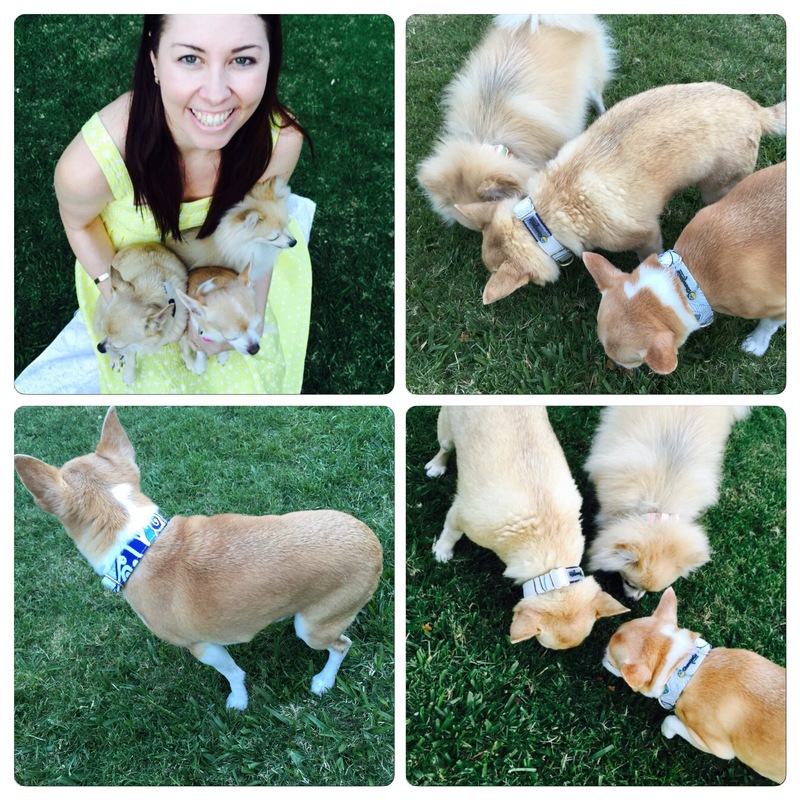 The only person that enjoyed the Chewy & Co collars more than me were my furry friends! The coolest collars and leads going round. 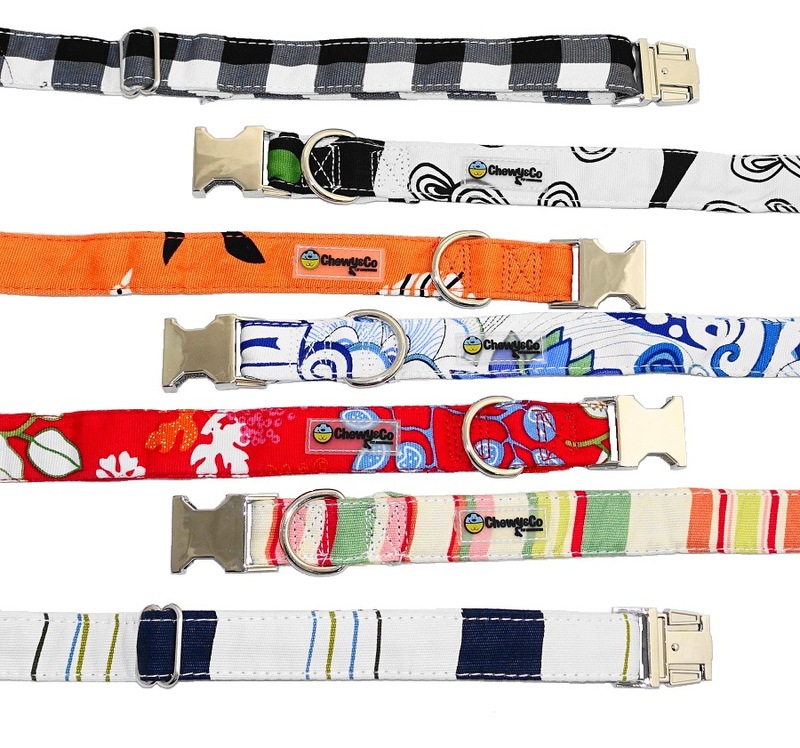 Bright, fun, and colorful, they are sure to keep a smile on your face and your favorite dog’s tail wagging! Designed in Melbourne, made from soft canvas with a tough nylon webbing lining and strong nickle plated metal snap-on buckles. 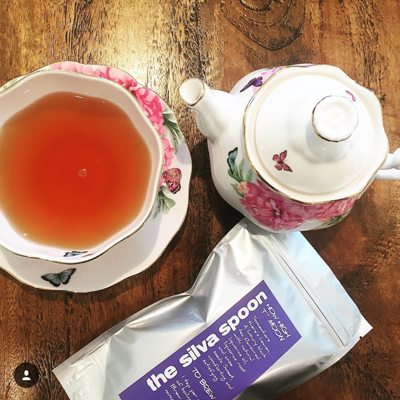 The Winners of Week Two are……. Our beautiful schnoodle is about to turn 3 so I think it’s definitely time for a new collar. I love that these are made of canvas and can reflect a dog’s personality with their bright, playful colours. That describes our Maxi to a T! Bright and playful. And naughty and cute. And chewy (you should see the damage!) and co! Great company for our family. My little fur baby is the most loving puppy. Not sure he knows he’s a dog as he sleeps in bed with me and my kids complain I love him more than them….. well he never argues with me and always wants cuddles. Hi my name is Moet (I’m a toy spoodle) I would love to win a new collar. I’m sure the collar would look even better on me! I’m a good looking doggy lol just need a bit of bling! And As I surf a lot I think the canvas will last longer. Cheers! My gorgeous puppy milo is my best friend I love him and miss him whenever I have tj go out. I also have two very pretty cats and sometimes milo thinks he’s a cat so we call him the catoodle as he copies everything the cats do.